The ancient Korean art of Sasang medicine explains how each of us is born with a specific body type that establishes our physical and emotional strengths and weaknesses. These traits have a direct influence on how we interact with others and react to stress and life’s transitions. Discovering your type will enable you to understand why you are prone to certain symptoms and not others, choose the most compatible remedies and treatments, and make the best choices regarding your health and well-being. Applying the wisdom of Sasang medicine to the major life transition of menopause, Dr. Gary Wagman explores how each of the four Sasang body types has its own unique menopausal challenges, as well as opportunities, and how the natural remedies and diets that work for one type might not work for another. Providing guidelines and tests to determine your type, he details each type’s emotional tendencies, physical strengths and weaknesses, and their balance of Yin and Yang energy within the organ systems, explaining why hot flashes occur when they do, why insomnia is suddenly an issue, or why you feel depressed. Revealing the impact our emotions have on our physiological health, he describes how different emotions, such as anger and sadness, correlate with a particular type’s inborn energetic patterns. Presenting natural remedies, exercises, supplements, and diet and food recommendations for each Yin-Yang body type, Dr. Wagman also includes body-type-specific Sasang herbal remedies for the most common challenges related to menopause, including hot flashes, osteoporosis, depression, mood swings, hormone balance, urinary health, fibroids, frozen shoulder, brain fog, and loss of libido. Offering specific ways to take charge of your own emotional, physical, and sexual health, this practical guide provides a compass to help you smoothly navigate the sometimes turbulent waters of menopause and harness the spiritual and emotional strengths of this life transition. With Sasang Medicine as your guide and the knowledge of your Yin Yang body type, navigating the way through the rugged waves of hot flashes, insomnia, depression, pain, etc. is just about to become an easier, self-enhancing process. Instead of relying on what the latest remedy is for this or that symptom, you’ll soon be able to determine what is appropriate for YOU and YOUR body. Sasang Medicine introduces four Yin Yang bodytypes, based on which of your organs are more or less dominantfrom birth and proposes a fundamental shift of thinking that emphasizes the power to change how we feel through self-understanding and cultivation. The following five premises of Sasang Medicine are applied not only to menopause, but to any health situation. The way we respond to menopause depends on inborn inclinations of our mind and body. Each of us has different physical and emotional tendencies depending on which of our organs are hyper and hypo-developed at birth. Our hyper-developed organs correlate with stronger emotional tendencies, and the hypo-developed ones, with less developed, sensitized emotions. The Yin Type A, for example, radiates towards joy and cheerfulness, associated with her stronger liver, but if she cannot achieve or control this emotion, sadness, which correlates with their weaker lungs, will suffocate them. Emotions move energy. Each of the Yin Yang body types has its own emotional inclination that determines how energy flows within the body. Balancing these emotions actually enhances the body’s ability to transition through menopause, encouraging hormone balance. Anger, for example, sends warm energy upwards, while calmness guides cool energy downward. Since the Yang types are prone to anger, flow to the upper body is stronger than to the lower body. If the Yang types have difficulty controlling anger, weakness of the lower body ensues, while upper body pressure increases. 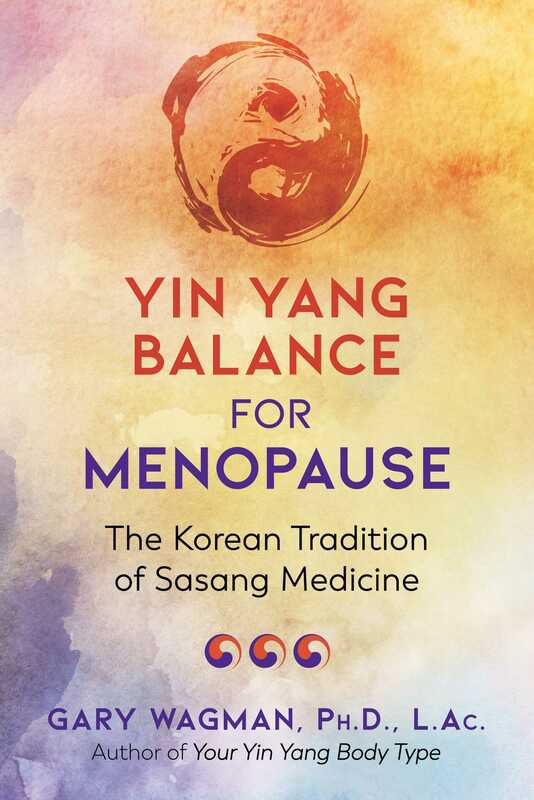 Menopause is particularly challenging for the angry Yang type whose excessive upper body energies instigate hot flashes, anxiety, headaches, and high blood pressure. The calmer Yang type is able to send ample cool energy down to their weaker lower body, cooling off hot flashes and decreasing other menopause symptoms. Each menopausal symptom has its own body-type-specific emotional and physiological source. According to Sasang Medicine, every nook and cranny of the body has its own unique emotional affiliation. The lungs, for example, correlate with sorrow, the spleen with anger, the liver with joy, and the kidneys, calmness. Emotions associated with our stronger organs are easier to control, while those correlating with our weaker organs easily lose theirfooting. Lurking underneath symptoms like hot flashes, insomnia, headaches, etc, are emotions such as anxiety, anger, and/or sadness. The first step in dealing with any chronic condition is to balance our emotions and expectations surrounding it. Step back for a moment and reflect on your Yin Yang Body Type’s strengths and weaknesses, discovering how they influence your reaction to each menopausal symptom. By getting to know your body-type-specific tendencies and making an effort to balance your innate energies, you are capable of alleviating menopausal symptoms. There are numerous situations where medications and tonics come in handy, but even these cannot help without the support of the natural healing power within our bodies. The first step to self-healing is self-knowledge, or the discovery of what our natural strengths and weaknesses are. Sometimes my patients resort to tonics like ashwaganda or ginseng for the sake of combatting fatigue. These herbs stimulate the Yin type B’s hypo-developed spleen system, but could harm the other types. After taking them, my Yin type B patients not only feel energized, but overall healthier too! But those who aren’t Yin type Bs, even if they experience more short-term energy, eventually start to show signs of high-blood pressure, palpitations, and/or anxiety. Balance, and nothing else, is the essence of wellbeing. No matter how intense your hot flashes are, they will eventually go away once estrogen and progesterone reach an agreement within your body. During menopause, many women experience a dive in estrogen and the other hormones are left to figure things out on their own. As the disparity between each hormone increases, so does the frequency and intensity of menopausal symptoms. Eventually estrogen and progesterone both decline significantly, closing the gap. Hot flash relief comes sooner for some and later for others, depending on our ability to balance our body-type-specific emotional and physiological tendencies. True, estrogen andprogesterone have an effect on our emotions, but how we feel emotionally directly affects our hormone levels. The choice of whether to be controlled by or be in control of our hormones is ours! Each of the following chapters begins with a story I’ve heard over the years, all portraying the challenges many women encounter during the menopausal transition. While everybody’s menopausal journey is different, most readers will identify with one or more of the women in these stories. Each story is then followed by common Western and Eastern medical perspectives, including the latest research about each menopausal situation. Even though Sasang Medicine is considered Eastern Medicine, it has a slightly different emphasis from its Chinese Medicinecounterparts, focusing primarily on one’s body type rather than external factors. This contrast will become more evident as I compare both approaches side-by-side in each chapter. According to Sasang Medicine, a symptom is simply the body’s way of letting us know that a particular area needs attention. This book goes beyond the mainstream symptomatic approach while encouraging you to envision how each menopause-related issue flows within your body; recognizing that a hot flash is not just a hot flash, and insomnia is not just insomnia. Instead, they are dynamic energetic movements that result from an imbalance within our stronger and weaker organ systems. On the surface, hot flashes for the Yin and Yang types might appear identical, but are addressed by completely different strategies.